So, you’ve heard all about how high-performing the new 2017 Acura MDX is, with its ample engine power, awesome torque levels, and superb transmission. And you’re aware that this is also one of the most technologically sophisticated vehicles on the market today. But did you know that the 2017 Acura MDX comes replete with a broad range of safety systems designed to keep you and your passengers as secure as possible when you’re out on the road? Read on for an overview! First of all, the MDX is outfitted with a state-of-the-art Multi-View Rear Camera with Dynamic Guidelines, which allows you to scope out the area behind your vehicle as you parallel park, making the process of negotiating tight space easier than ever next time you’re down in the city. A surround-view camera is included on the 2017 Acura MDX with Advance Package, too. With Blind Spot Information, your MDX will alert you to the presence of another vehicle in your blind spot, thereby better enabling you to avoid potential collisions by giving you a second pair of eyes. Rear Cross Traffic Monitor indicates to you another car is about to cross your path in the rear, helping you avert collisions if you’re puling out of a parking space. The MDX keeps you safe in the event of an accident with dual-stage multiple threshold front airbags, Smartvent front side airbags, side curtain airbags, driver’s knee airbags, and more. Finally, the MDX also comes embedded with a host of dependable braking systems, including 4-wheel Anti-Lock Braking and Electronic Brake Distribution, to give you increased control next time you’re facing treacherous conditions or difficult terrain. Test Drive the 2017 Acura MDX at Rallye Acura Today! 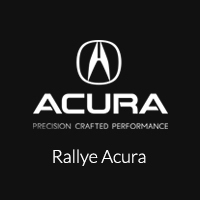 Best of all, you can experience the Acura MDX for yourself simply by stopping by our Rallye Acura dealership today. Located at 1750 Northern Blvd in Roslyn, we can also be reached by phone at 516-508-9147 or via this simple online form as well. Don’t wait to experience reliable safety in the new 2017 Acura MDX!